Stress is inevitable and even a necessary part of life to some degree. But too much stress can stop you from living fully. We all know the feeling of being in a highly stressed state and hearing someone repeat, “Breathe,” and knowing instinctively that is what we need to do to get through. Breathing deeply also has many health benefits. 42 percent laid awake at night in the past month. 33 percent overate and/or ate unhealthy foods. 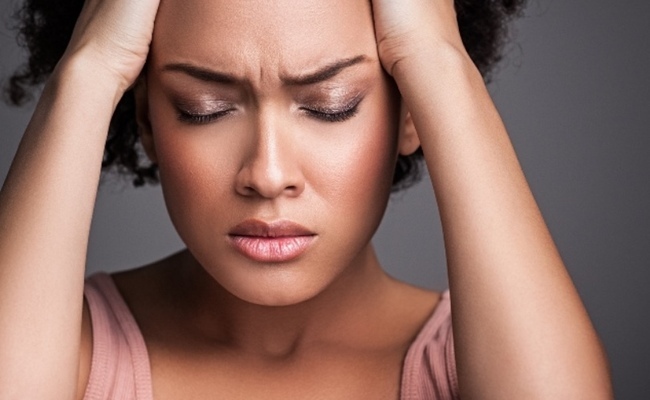 51 percent of women report higher stress levels than men. The American Institute of Stress says that breathing into your abdomen for 20 to 30 minutes each day helps reduce stress. Breathing deeply increases the oxygen flow to your brain, stimulating the parasympathetic nervous system, creating a state of relaxation. 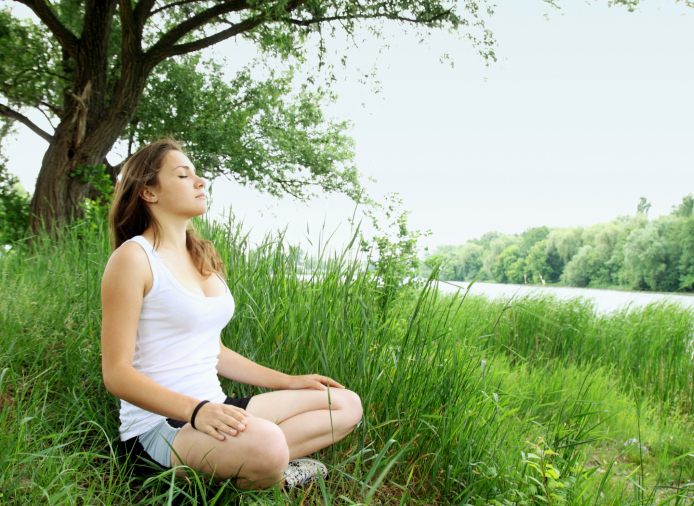 Breathing exercises connect you with your body, thus quieting your mind. 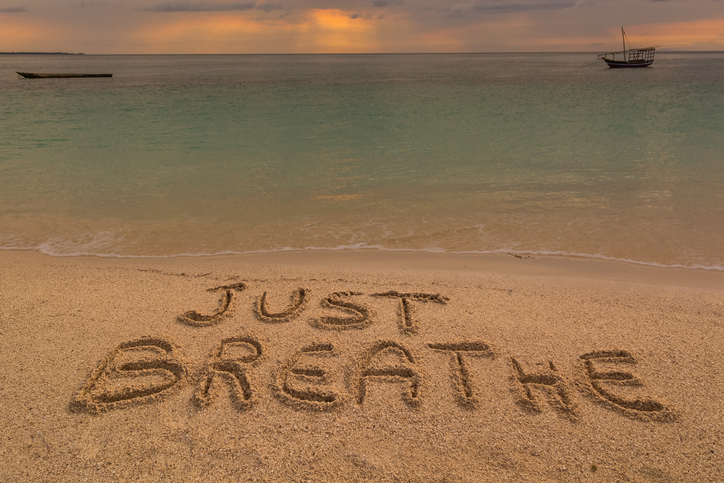 Deep breathing does more than help us relax; it’s been scientifically proven to improve wellness. This is a very good way to balance the body by calming the nervous system, reducing stress and increasing focus. You can do it anytime. Then exhale for a count of four through the nose (this adds a natural resistance to the breath). Once you find that you can do this easily, you can increase the number to 6-8 times. “It’s pretty abdominal-intensive but it will warm up the body, shake off stale energy and wake up the brain.” says Rebecca Pacheco, yoga teacher. At the age of 24, I was in a highly stressed situation which took me to the hospital and came out with relaxing pills to take. Not wanting to take pills, I went to a yoga class and learned this breathing technique; it solved my problem and the anxiety never returned. You can read my story at 13 Health Benefits of Breathing Deeply. Most people I have worked with do not know how to breathe into their belly. This is a simple technique. After all, babies do this naturally; it is not rocket science. Lay down on your back on a bed. Breathe naturally and notice if your belly is going up and down. Now gently breathe into your belly; keep your hands gently on your belly. Keep breathing till you feel your belly going up and down gently. Do this breathing for 3-10 minutes depending on how much time you have. Do this every day when you first wake and when you go to bed at night. This exercise is good whenever you are upset or have a stomachache. Laying down is best but you can breathe this way while sitting; close your eyes to keep from getting distracted if needed. As time goes on, integrate this gentle belly breathing into your daily life. Breathe while you are on the computer, walking, watching a movie or talking with a friend. You do not have to put your hands on your belly, that is just to help you become aware of your belly and breathing. This breathing exercise is simple and takes almost no time. Although you can do the exercise in any position, try sitting with your back straight while learning the exercise. Place the tip of your tongue against the ridge of tissue just behind your upper front teeth, and keep it there through the entire exercise. You will be exhaling through your mouth around your tongue; try pursing your lips slightly if this seems awkward. Interesting point, as breathing is essential for survival (in more ways than one). Thanks. One of the (many) things I like about yoga is the emphasis on relaxation and mindfulness through breathing. might be an interesting article, but can't get the page to display (refreshed several times). too bad. Thanks for bringing awareness to this theme. During my meditation and yoga exercises I learned to let stream my breath always into my belly, also I learned pranayama and fire breath (a part of Kundalini yoga) which are very helpful in many cases.